August 15, 2011 by Ken Ward Jr. The West Virginia Office of Miners’ Health, Safety and Training confirms a fatality occurred this morning at Mingo Logan Coal Company Mountaineer II Mine in Logan County. The accident occurred before 7 a.m. this morning. No other details are available at this time. OMHST, MSHA and company investigators are currently underground. More information will be available when they return to the surface later today. This morning at about 6:10, a miner was struck by a rock fall while installing cribs in the longwall gob area. Mingo Logan Coal, of course, is part of St. Louis-based Arch Coal Inc. This is the 13th coal-mining death in the U.S. this year. 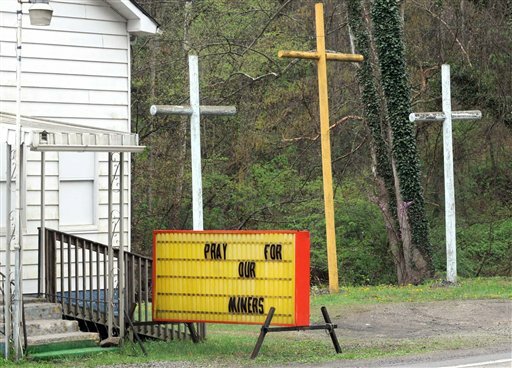 West Virginia accounts for 5 of those deaths, more than any other state. Charles M. Hall, 46, of Williamson, W.Va., died today as a result of being hit by falling rocks from the roof of Mingo Logan Coal Company Mountaineer II Mine. Mr. Hall had 5 years and 10 months experience as a miner, all but a year of which was gained at this mine. His regular occupation was that of Move Crewman. At the time of his death, Mr. Hall was working on Longwall Move/Shield Removal. Think about it when you flip the switch to turn on a lamp or your TV. This is how they keep electricity cheap. Lets leave politics out of this one and show some respect to the family of this man. Pray for them.